A consistently productive and accessible double bank beat on the middle Tay, Dalguise Beat extends 1.25 miles of double bank fishing. Excellent fishing lodge with fully equipped kitchen and toilet facilities. Easy vehicular access and pleny of parking. Dalguise lies amongst some of the most breathtakingly attractive countryside to be found in Perthshire. 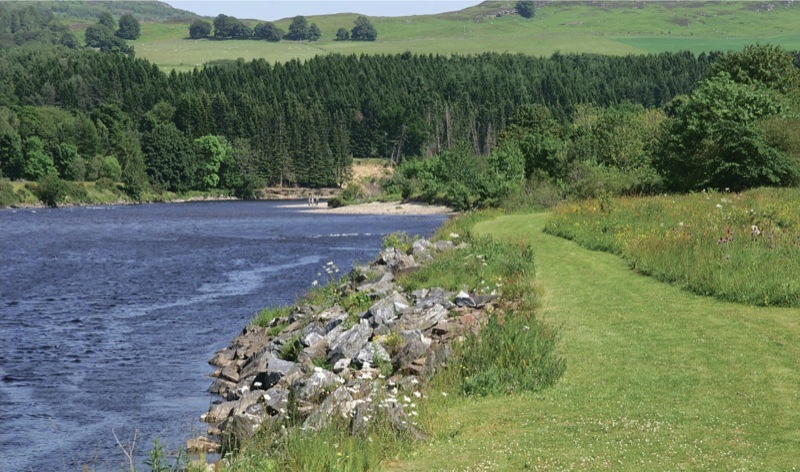 This area of Scotland is renowned for its magnificent scenery with rich farmland, wooded hills and magnificent views to the distant mountains. The beat lies some 5 miles north of Dunkeld and is reached via the A9 trunk road. Edinburgh lies within one hour’s reach, whilst Dundee, also with its airport, can provide regular links to London and the major cities of Europe. 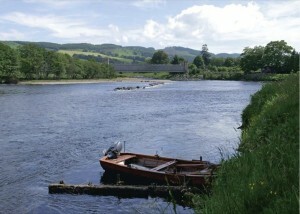 Dunkeld provides for all local needs and has a good range of stores. The county town of Perth 20 miles distant, provides comprehensive facilities. The season runs from 15 January to 15 October. 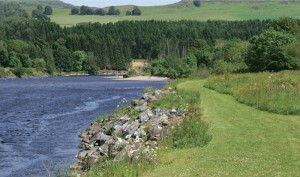 The Dalguise fishings form some of the most impressive and respected salmon fishings on the middle Tay. Bounded by Kinnaird, up river and Dalmarnock down river, it provides some excellent holding water and has a productive catch record. The beat stretches from Kincraigie Burn to Rotmell and marches with the Dalmarnock Beat. It is fishable both by boat and wading, as well as from the bank, over which there is excellent access. Dalguise provides a great variety of water and can be fished at most heights, providing entertaining sport of the highest quality. There are many pools and streams on the beat. 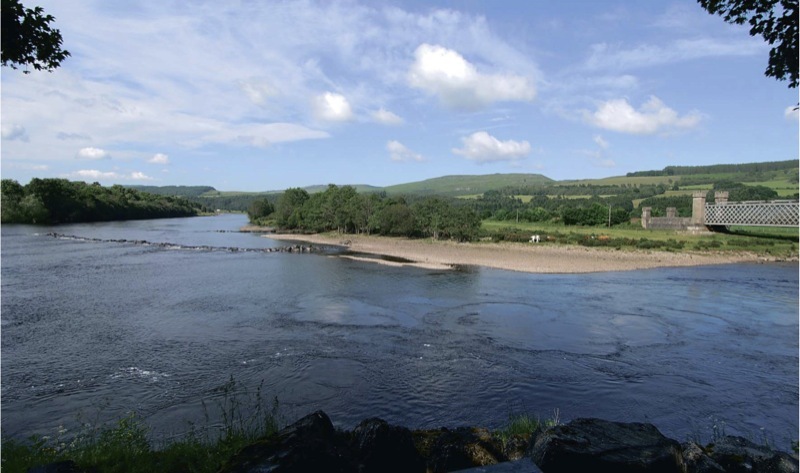 Favoured areas include: Guay Pool, Tail of Guay, Boils, Flats, Casting Platform, Neck of Bridge Pool, Tail of Bridge Pool, Dowally Stream, Calum’s Corner, Island Pool, Tail of Island, Neck of Otterstone, Otterstone, Tail of Otterstone, Sarah’s Spot. (Click HERE to see the Pool Description Page). The fishing has traditionally been let as a six rod beat with a further two proprietors’ rods being retained. Depending on water height, fishermen divide their time between fishing from a boat, by wading or fishing off the bank with exceptional access. Approximately half of the fish are caught on fly, the balance by lure and bait. 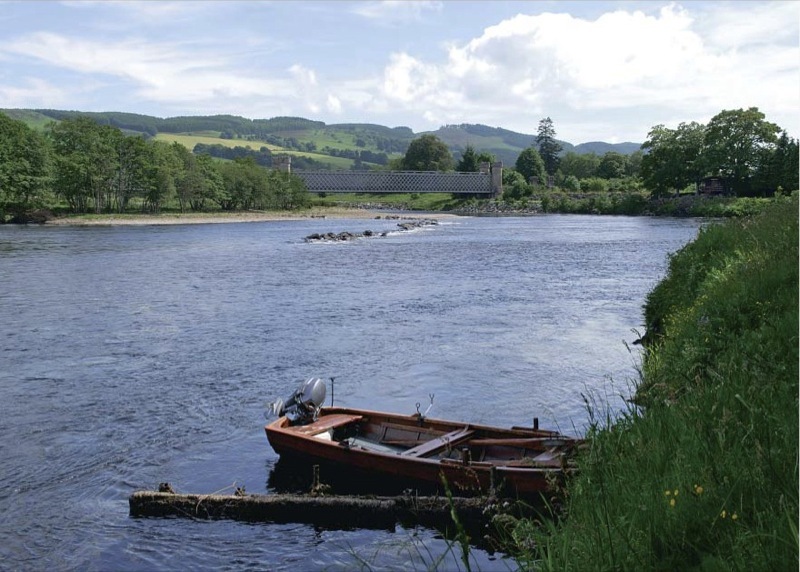 Dalguise has led the way in catch and release with 88% being returned last season, in line with the catch and release recommendations of the Tay Salmon Fisheries Board. There is an excellent fishing cabin, the cabin is raised above the river and from its veranda there are magnificent views of the upper beat and surrounding countryside to the distant hills. The cabin has a fully equipped kitchen and toilet facilities.